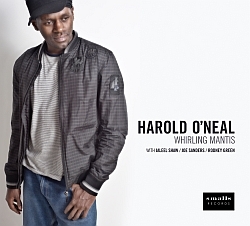 If music were Harold O'Neal's only talent, it would be quite enough. The listener should not be left with any doubt after hearing this record that a major piano star has arrived. But the story goes on from there. To get an idea of O'Neal's creative scope, you have to look at the fervor with which he approaches any challenge. He settles for nothing short of complete mastery. As a world class actor, breakdancer, and kickboxer, O'Neal has demonstrated time and again his ability to reach into new forms of artistic expression and to excel at an advanced level. Those of us who know him, expect to see him enjoying a career as leading man in major Hollywood motion pictures, and as a creative driving force in jazz and pop music in years to come. But I'm sure he won't stop there. His break might just have come with a hallmark appearance on HBO's "Boardwalk Empire" playing and performing in the role of James P. Johnson. Producers take note.